So …. you want to write some poetry or a story? Have you secretly wanted to learn how to polish up your writing and give it legs and life? Have you dreamed of taking it off the page and on to performance? Well, there is a wonderful workshop being offered for writers who fit this growing profile. Missie Peters of Victoria will lead the workshop at the Denman Island Readers and Writers Festival in July. 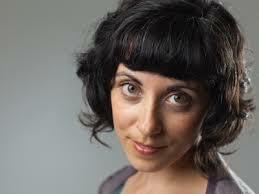 Missie is a Victoria based spoken word artist and improviser. She has the depth and experience that few in the spoken word genre can boast in BC. She has been honing her craft since 2005, and is a two-time Victoria Slam Champion, a past member of Tongues of Fire and a member of the improvised spoken word due SpeakEasy. As one half of that improvised spoken word duo, she has performed in Berlin, London and Amsterdam. She is the founding director of the Victoria Spoken Word Festival and has performed her solo spoken word shows across Canada. Peter’s is a remarkable performance poet who turns poetry into theatre. So what secrets will you learn from her? Literary adventure and fun will be had as you learn how to take your writing from the page to the stage and understand the elements of a spoken word piece. Whether you want to understand what ‘slam’ is or want to become more confident reading on stage, this workshop is for you. Bring a pen and paper for writing. Then, be ready to be on your feet.